This palate and eye-pleaser is perfect for impromptu gatherings and holiday entertaining! Variation: Remove grapes from stems prior to tossing in olive oil and vinegar; roast in a single layer on sheet pan. Serve with French bread and a variety of hard and soft cheeses (see Food & Wine article here for ideas); garnish with mint. 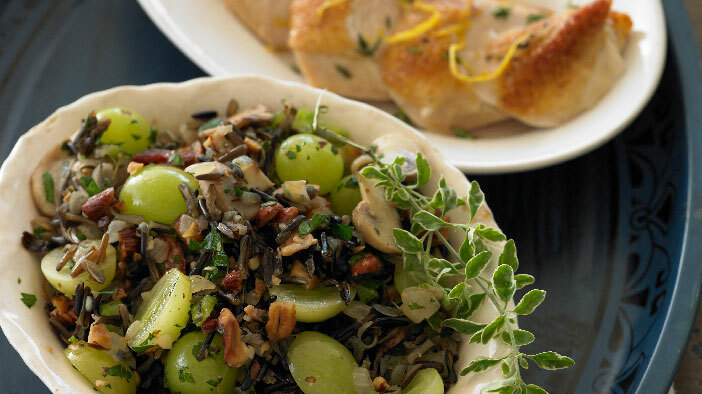 This wild rice stuffing will add a fresh & flavorful twist to your Thanksgiving dinner! In heavy saucepan, bring chicken broth to a boil. Add wild rice and stir. Cover pan and reduce heat to low. Let simmer for one hour, until rice is tender and has popped open. Meanwhile, cook bacon in a frying pan over medium until almost crisp, about 8-10 minutes. Add butter to bacon pan, add onions, celery, mushrooms, garlic, thyme and salt and pepper. Cook over medium heat for 5-7 minutes, until onions are translucent. Remove from heat and fold in parsley, hazelnuts and grapes. Add rice with any remaining liquid in pan, to vegetable mixture and toss well to combine. Stuffing may be used to fill turkey, game hens, or chicken. 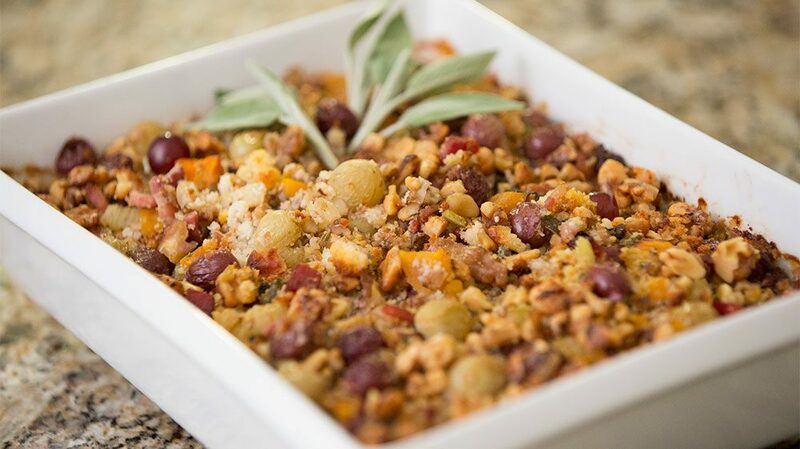 Stuffing may also be baked separately in a casserole dish covered with foil: bake at 350 F for 20-30 minutes until hot throughout. To toast hazelnuts, place in 350 F oven for 9-12 minutes. Rub in a clean dishtowel to remove skins. If you make ahead and refrigerate, cook time will be 30-40 minutes until hot. Nutritional analysis per serving: Calories 166; Protein 5.4 g; Carbohydrate 21 g; Fat 8 g; 40% Calories from Fat; Cholesterol 5 mg; Sodium 126 mg; Fiber 2.6 g.
Give your holiday cranberry sauce a fresh tasting twist, roasting cranberries along with red California grapes. The relish is both sweet and tart, a refreshing addition to a turkey dinner. Into a large bowl, toss the grapes with cranberries, sugar, lemon zest, lemon juice, and pinch of salt. 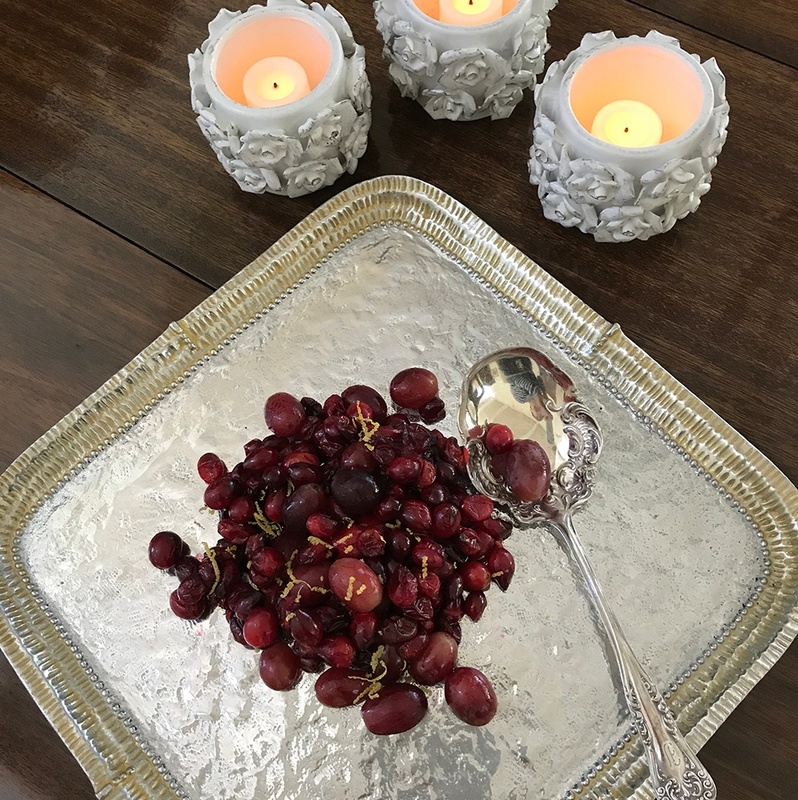 Pour onto a parchment-lined baking sheet and roast, stirring halfway through, until the cranberries and grapes just start to burst, about 15-20 minutes. 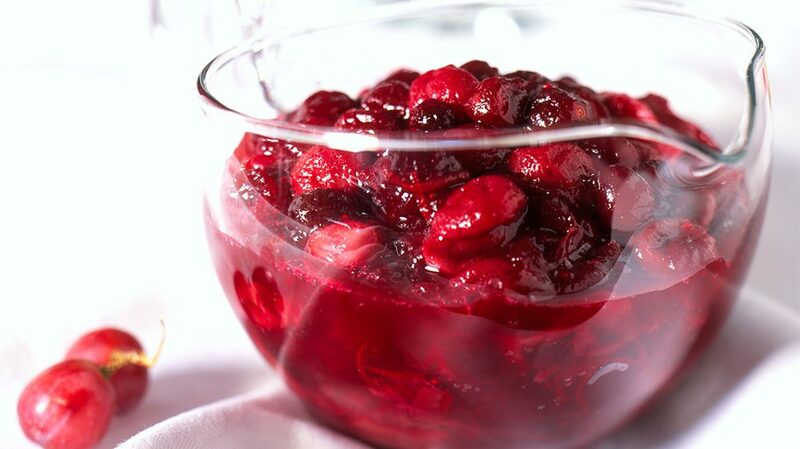 Roasted Cranberry-Grape Relish can be made ahead; refrigerate for up to 3 days. 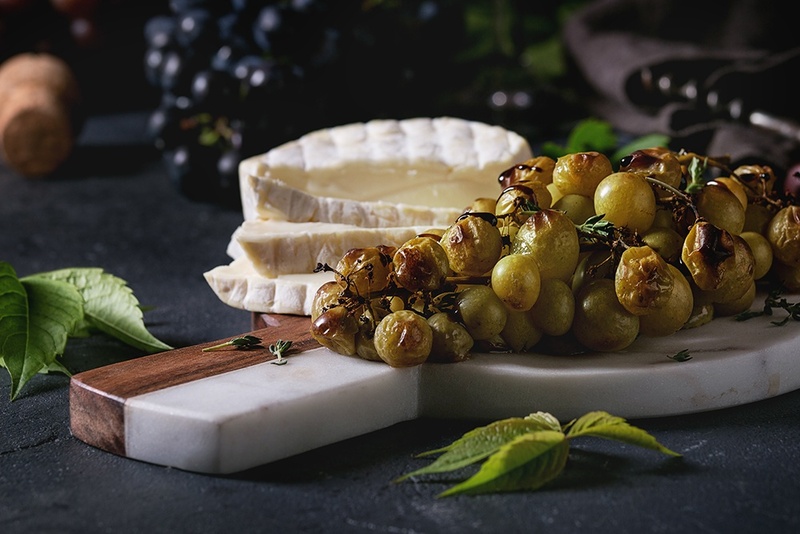 This recipe was created by Sarah-Jane Bedwell, RD, LDN, for the California Table Grape Commission. 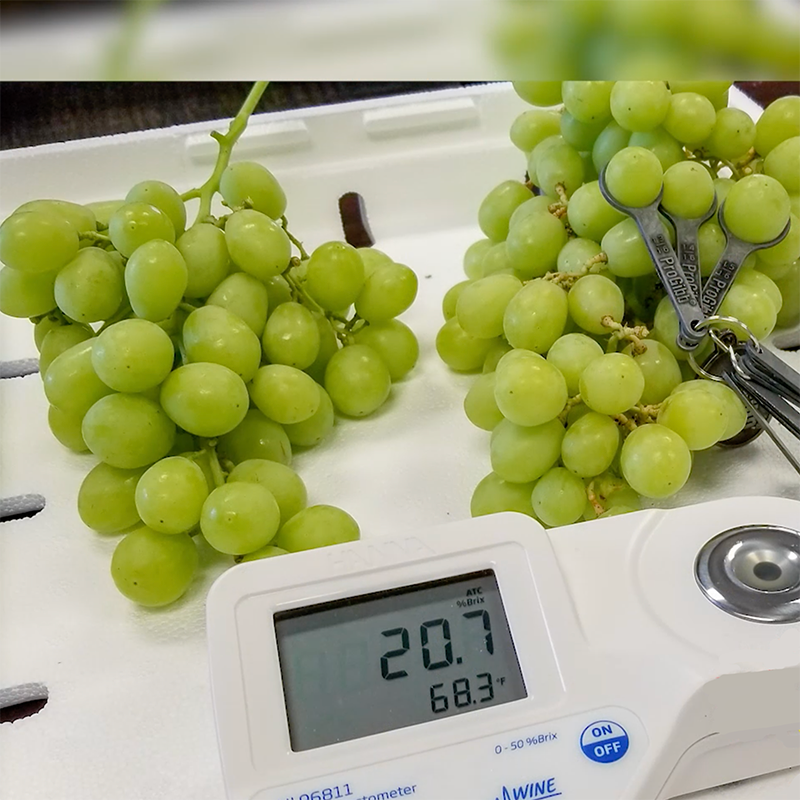 Preheat the oven to 400 F. Toss grapes and squash cubes together in a large bowl with the oil and salt and pepper, to taste. Spread them in a single layer on a baking sheet and roast for about 20 to 30 minutes, until the grapes have begun to slightly shrivel and the squash is tender. Set aside. Heat a large nonstick skillet over medium-high heat and cook the pancetta until it begins to brown slightly. Add the celery and onions and cook until they are tender and the onions are translucent, about 5 to 6 minutes. Add the garlic and cook for 1 minute more. Remove from the heat. In a large bowl, combine the cornbread, pancetta mixture, grapes, squash, walnuts, sage, and salt and pepper to taste, if desired. Set aside. In a medium bowl, whisk together the broth, butter, vinegar, and egg. Pour over the cornbread mixture and toss well to combine. Bake, covered with foil, at 350 F for 20 minutes. Uncover and bake another 20 minutes, or until warmed through and golden brown. Nutritional analysis per serving: Calories 442; Protein 14 g; Carbohydrate 54 g; Fat 18 g; 37% Calories from Fat; Cholesterol 75 mg; Sodium 1103 mg; Potassium 475 mg; Fiber 2 g.